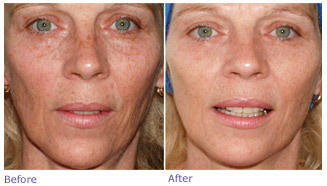 Microneedling is a form of Collagen Induction Therapy (CIT). It aims to create a controlled injury underneath the skin's surface, thereby inducing the body to respond through the formation of new collagen as it heals. It improves the thickness of the dermis as well as the epidermis, which in return improved skin texture and reduces wrinkles. It alos has a positive effect on hyper-pigmentation, disfiguring scars, especially acne scars by producing new collagen fibres which can elevate the depressed scar tissue. 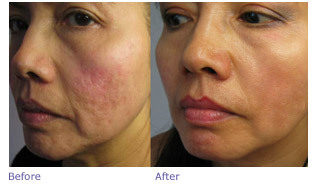 Recovery after this treatment depends on the skin colou and age of client. The skin will be pink/red in appearance for 24-48 hours, much like a sunburn with some minor bleeding. A numbing cream is used on the skin before the treatment in order to render the proceedure painless.